The first novel I ever wrote was during the first year of JuNoWriMo in 2012. It’s called I’m Coming Home and I wrote the first draft, 75,000 words in 30 days. I felt such a sense of accomplishment and have been hooked on WriMo’s ever since. JuNoWriMo holds a special place in my heart. Another New Life was written during JuNoWriMo 2013. Each WriMo, I kept a daily journal about my writing process. You can read the entire journal, here. Observations: After a long day running around town and pontificating with my cousin, I thought I would be to mentally tired to write, but I wasn’t. I did a two hour session and added a couple of scenes tonight to clean up some holes in the story. Very productive writing session. I am getting an average of 2,000 words per scene and I feel like each scene could be so much more with description and more emotion both good and bad from the MC. It will be another lesson in edits and rewrite on this one. I am actually looking forward to it. Not sure why, it could be the wine talking. Tomorrow, I hope to get into the ‘time to make a decision’ scene. Should be a good one. Hope to have a first kiss and more before the days out. My characters are so luck. Do you keep a journal about your writing process? Do you drink when you write? haha! 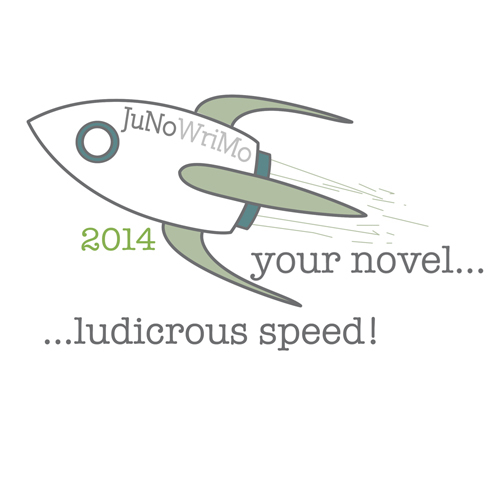 JuNoWriMo 2014 is coming soon. If you have a story you need to get on paper, JuNoWriMo is the most supportive and encouraging program to join. 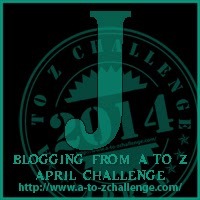 I’ll be writing book #2 of a series I am working on and running some sprints from the @JuNoWriMo twitter handle. I would love it if you would join me. Meradeth, please join us. We have a blast. I do keep a journal of my writing process. I find it useful to look back and see what I was thinking about at different points in the process. I drink mostly coffee and tea when I’m writing – probably because I write in the morning. I have been known to edit with a glass of whiskey for strength. Hope it wasn’t the wine talking! I wish I could write that much at once. Thank you for mentioning this particular challenge. I hadn’t heard of it before. I find larger works to be very daunting, so I’ve never embarked on one. Maybe the do-or-die device of having to crank something out in a month, however rough, helps keep you from being so precious with the project that you’re too afraid to actually start. I think you had the right mindset – get it done now. Acknowledge the various revision needs as they announce themselves, bookmark them, and then press on with the actual writing. Thanks. I hope you join us. We have a good time and are super supportive. I don’t write a journal about the process, but maybe I should. I don’t want to forget what I’ve learned and I like looking back to see what I’ve done and how much I’ve improved. It was natural for me to journal, since most of my of the stuff I journal about are my frustrations. Writing a book is frustrating. Wow! 75k in one month! That’s impressive! I’ll check out JuNo. With my work and family, I never seem to have enough time to “win” during one of these months. I keep a word count log, but a journal is a great idea. Join us for JuNoWriMo, it’s so much fun. I’ll be writing Book 2 in my first series. I don’t keep a journal, and for reasons not to be detailed here, I don’t drink … A long time ago, in the heady days of my single life in the military I had enough drink to last me through the years I’m enjoying now. I took part in the NaNoWriMo two years ago and used it to produce the first draft of what became my novel, ‘Beyond The Law’. I completed it in several drafts after the WriMo, and it took about a year. It’s now selling well as an eBook on Amazon. Another New Life took a year to get out there. Thanks for stopping by Lara. 75k words in 30 days! That is absolutely amazing!